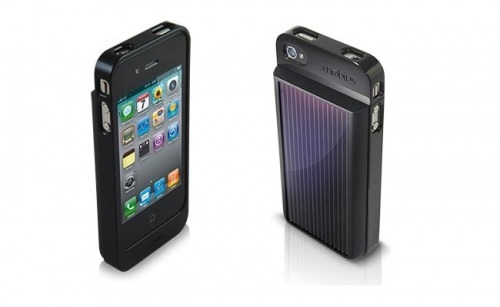 Apple is evaluating the possible market for solar-powered consumer products, according to a DigiTimes report. Samsung and Apple have been evaluating the possible niche market for solar-powered consumer products and considering the inclusion of Taiwan-based solar firms in their respective supply chains. However, according to Taiwan-based solar firms, these niche markets will need a longer time to develop. Samsung's solar-powered netbook adopts a unique sized solar cell, added industry sources, and the number of solar cells used is less than rooftop solar systems, hence it is unlikely for solar-powered consumer products to form a solid market in the short term. This report is particularly interesting following a WSJ article that said Apple is experimenting with a new way of charging the iPhone 5. Initially it was thought that the WSJ was referring to WiTricity Wireless Charging; however, it's possible that Apple is looking at solar-powered charging as well. This would be an amazing new technology for Apple to bring to the market, and let's not forget when Apple brings something like this to market others follow! We need devices that can charge themselves weather it be by solar power or any other technology.